The global business environment has undergone a major transformation that requires greater knowledge to address the social and environmental challenges of our time. Due to the widening of gaps between socioeconomic groups and the increasing threat of climate change, businesses are pressured to change normative managerial practices and operations towards development that is both inclusive and sustainable. While shareholders have a vested interest in economic returns, stakeholders are more broadly interested in, or concerned with, business’ objectives, policies and operations which may impact the global sustainability. 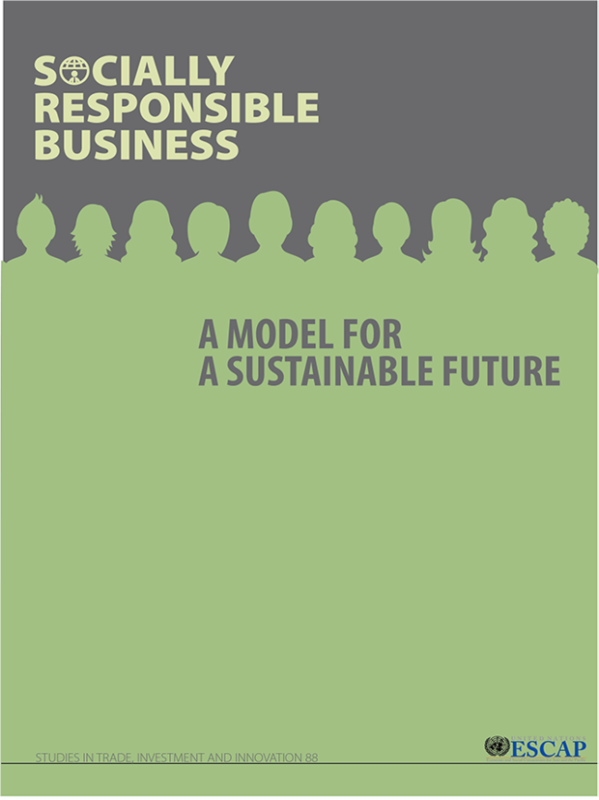 In this context, the notion of socially responsible business (SRB) is gaining relevance in the agenda of global inclusive and sustainable development or the United Nations’ Sustainable Development Goals (SDGs). SRB is a model in which for-profit businesses proactively conduct projects to achieve the long-term economic, social and environmental objectives of the society, or the triple bottom line of business. Against the above background, this monograph aims to increase the knowledge of policymakers and corporate leaders on existing and emerging SRB practices. Based on scholarly and grey literature, legislation and global agenda, this publication examines existing approaches, principles, practices and enablers to put SRB at the center of global inclusiveness and sustainability agendas. A deeper understanding of SRB will assist both public and private sectors to integrate a greater level of SRB practices into business operations of small and medium-sized enterprises (SMEs) as well as large enterprises and multinationals. The overall recommendation of this publication is that SRB is an effective development strategy. However, the lack of both government support and corporate capacity hampers the practice of SRB in Asia and the Pacific.